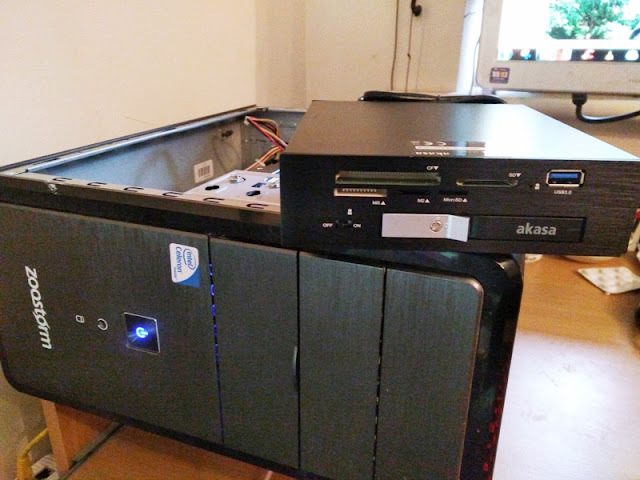 One neat way of making use of wasted internal space in your PC is by using up the free drive bays on the front of your PC with a multi card reader like the Akasa Lokstor M26! 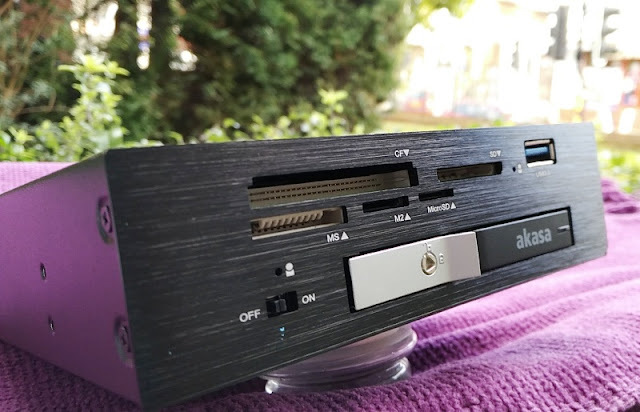 The Akasa Lokstor M26 model you see pictured is the AK-IEN-09 which is a 5.25-inch hot swappable card reader with a brushed aluminum front panel. 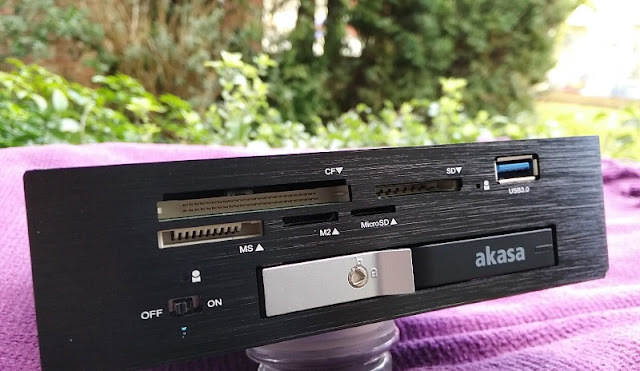 The AK-IEN-09 card reader fits internally in the front bay of a PC and integrates a total of five card reader slots, as well as a SATA card reader slot and USB 3.0 port. 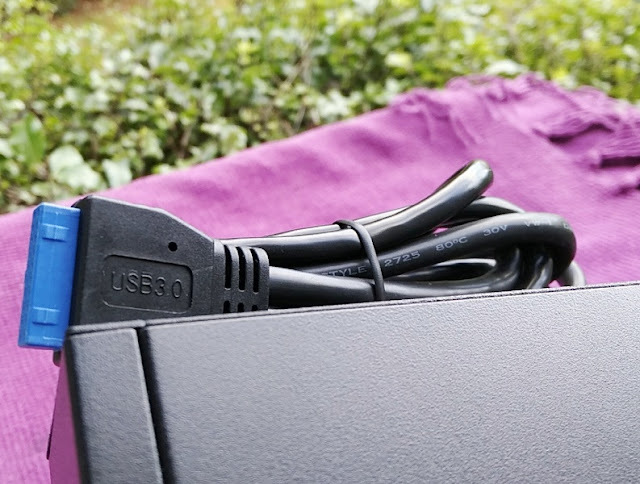 Being hot swappable is a great feature to have on a card reader as it means means you can take in and out the storage while the card reader is powered on without causing disruption to the entire card reader. 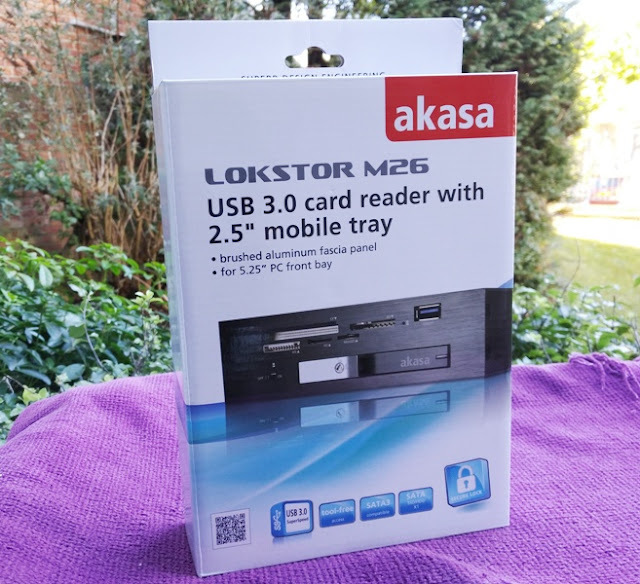 The Akasa Lokstor M26 internal card reader is Secure Digital 3.0 compliant so it supports the latest high capacity cards, including SDXC (supports up to 256GB), SDHC (supports up to 32GB), SD, Ultra, Extreme, Elite Pro, High Speed, MMC and MMC Mobile. 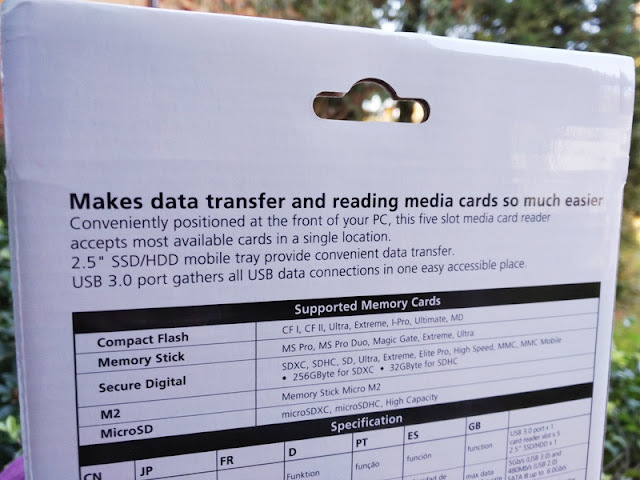 The Lokstor M26 internal card reader is also compatible with compact flash (CF I, CF II, Ultra, Extreme, I-Pro, Ultimate, MD), memory stick (MS Pro, MS Pro Duo, Micro M2, Magic Gate, Extreme, Ultra) and microSD (microSDHC, micro SDXC, High Capacity). 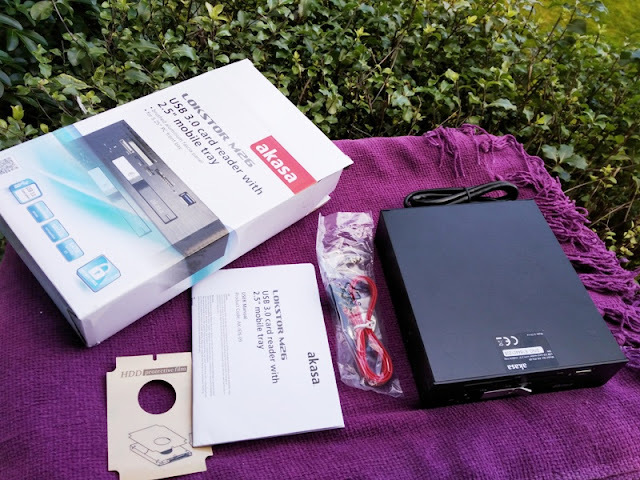 The integration of USB 3.0 on the Akasa Lokstor M26 internal card reader is great as you won't be limited to USB 2.0 transfer speeds which are around 35 Megabyte per second (MB/s). 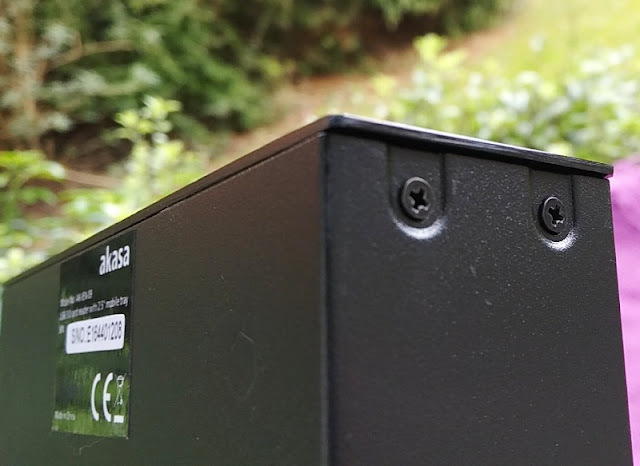 The SATA slot compartment is designed to fit a 2.5 inch SATA solid-state drive (SSD) or a SATA hard-disk drive (HDD) that is not thicker than 9.5 mm. 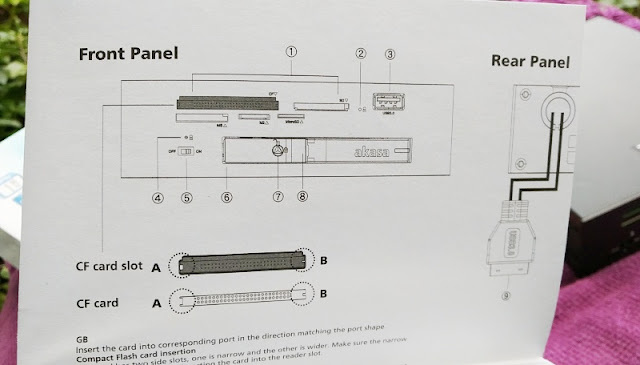 The SATA compartment has connections on the back of the card reader that allow you to hook it up to the motherboard via a SATA 7-pin cable which is included. 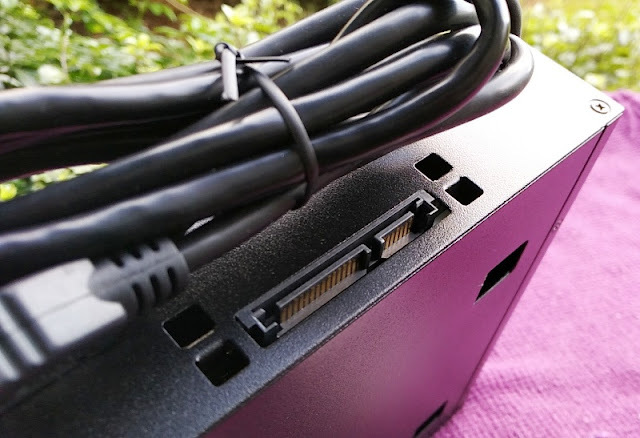 The slot connection next to the SATA 7-pin connection is the SATA 15-pin power connector which powers the SATA card reader from the PSU. 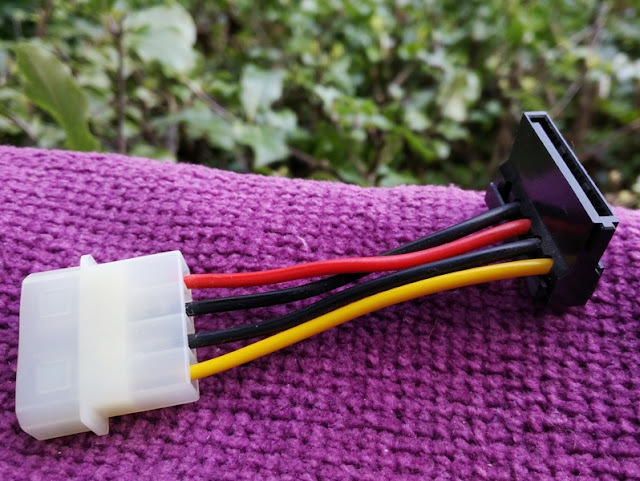 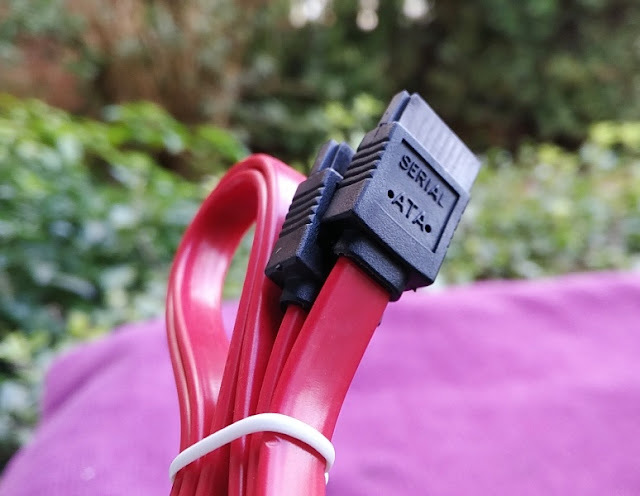 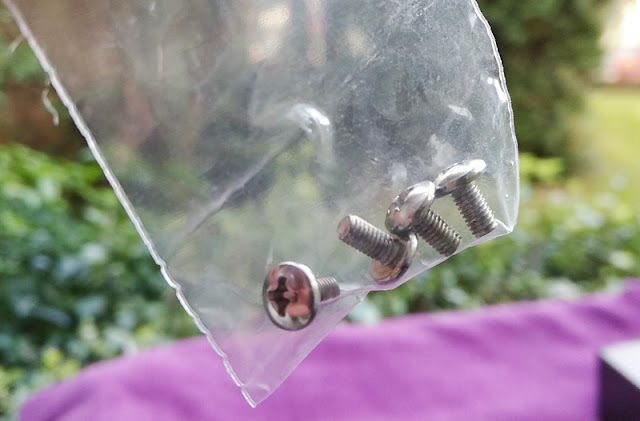 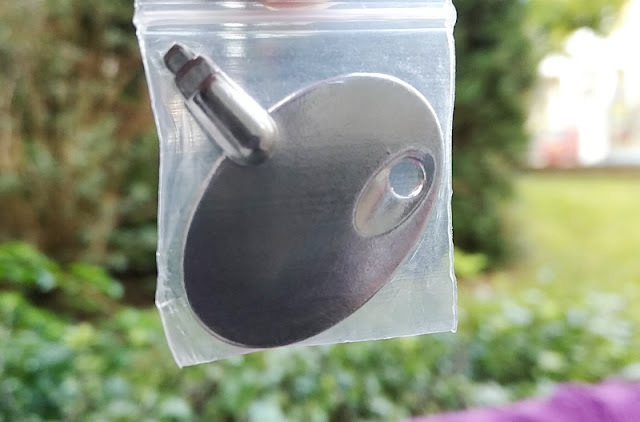 If you don't have a spare SATA power connector from your power supply unit (PSU) but have a free molex connector you can use a Molex to SATA adapter to create a SATA power connection.